After streaming Takeshi Miike’s live-action Terra Formars film on their Amazon Prime Channel last year, cult film distributor Arrow Films have today announced plans to release the film on Blu-ray in the United Kingdom, United States and Canada on 1st April 2019 in the former, and a day later in the latter two territories. The release is currently available to pre-order on Arrow’s online store. The ongoing manga series is currently available in English from Viz Media, who released the series’ 20th volume in January. Liden Films (The Heroic Legend of Arslan) have adapted the series into two anime seasons and an OVA. The first anime season was licensed for release in the UK by Kazé, which was later cancelled. 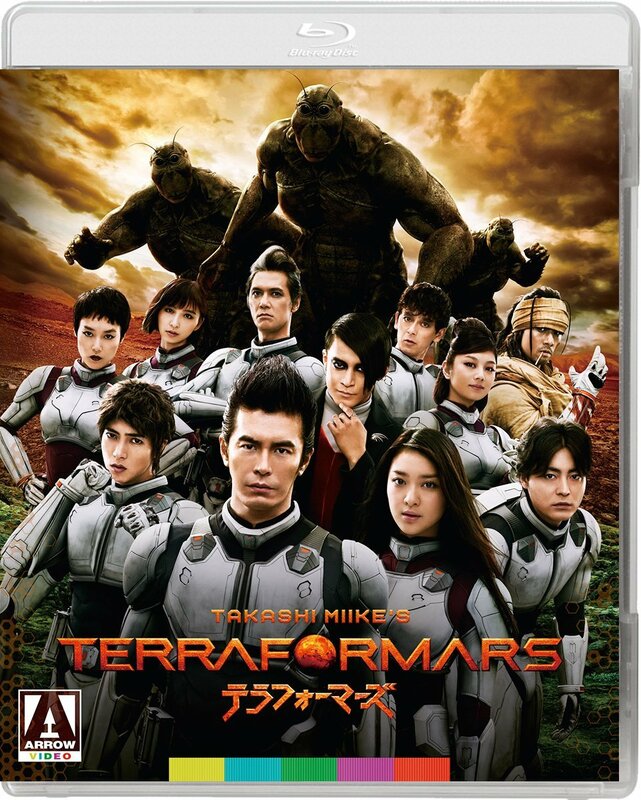 Takashi Miike’s live-action Terra Formars live-action adaptation added to the Arrow Video Channel on Amazon Prime!